Imagine your six-pack covering your six-pack. Plastic soda and water bottles are being turned into sweaters. We explore the process of converting plastic into fabric and its growing use. Our Take: A great video showing how post-consumer plastic bottles and containers are converted into durable, wearable fabrics. We love this innovation – our rPET bags have been repurposing old plastic bottles for years, at some of the same fabric mills used by Patagonia. Stay tuned for more textile innovations – the most sustainable production process for reusable bags. Industry representatives and health advocates gave federal officials vastly different assessments Tuesday of the effects of exposure to a chemical so prevalent that it can be found in the system of almost every American. Bisphenol A, commonly known as BPA, is used extensively in the linings of food and drink containers, plus countless consumer products, including baby bottles and sippy cups. 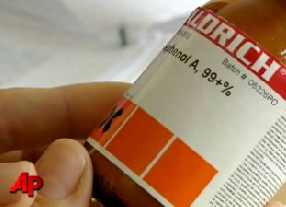 The chemical also has been found in drinking water, dental sealants and even household dust. Our Take: Like a seesaw, BPA is declared safe one month and unsafe the next -- we’ve got to wonder whether our government agencies are giving us the straight story. While there might be confusion on their part, as consumers, our advice is to err on the side of caution -- just avoid the stuff. 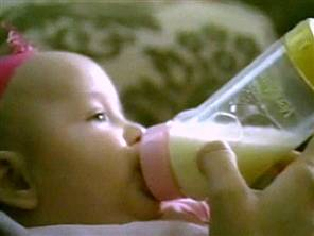 Government toxicologists have reiterated safety concerns about a chemical used in baby bottles and food containers, just weeks after the Food and Drug Administration declared the substance safe. 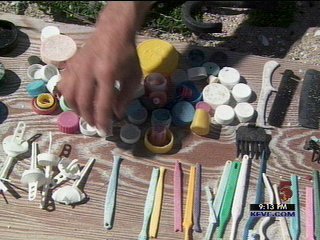 Do chemicals in the plastic bottles you use every day make them unsafe? Matt Lauer talks with Dr. Leo Trasande of the Mount Sinai School of Medicine. Check out this video montage (made by againstthetide) set to Simon & Garfunkel's Scarborough Fair - meant to make us think twice about using plastic bags. We like to watch this video with the volume turned down since this song, while beautiful, is a huge downer! Informative video about the dangers of plastic bags. Thread Heads: Tote Bags - Click here for another funny movie. Great video about bags made out of recycled materials - and how to make your own! A very well made short video highlighting the advantages of reusable bags. ReusableBags.com founder Vincent Cobb interviewed by ABC News about IKEA implementing a charge for plastic bags, BYOB (bring your own bag) trends in the U.S. and other "banning the plastic bag" initiatives. Link: Video interview - ABC News.